Attorney General Gordon Ramsay writes that there will be no exceptions to reportable conduct legislation. Photo: Supplied. 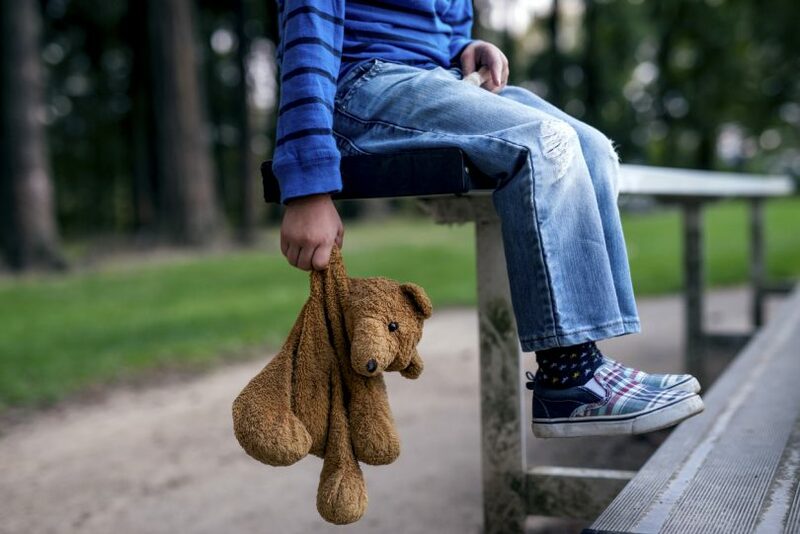 The ACT Legislative Assembly has passed laws that mean adults who fail to report child sexual abuse could face criminal charges. Attorney-General Gordon Ramsay explains that the new offence makes it clear that all adults have a duty to proactively report child sexual abuse to the police, without exception. Responding to the Royal Commission means acknowledging our collective failures as a community, our shared responsibility to protect children, and our obligation to take action to hold offenders accountable. There can be no exceptions from this, including for religious practices. We must make changes that both contribute to effective law enforcement and create a cultural shift in how we view reporting of child abuse. Every time an adult knows a child is being abused and chooses not to report it, they are complicit and they have failed to protect the victim. Children’s rights to be safe from abuse are paramount. The right to freedom of religion is not absolute, and the freedom to practice religion in a particular way must never take precedence over children’s right to safety. We have seen in the courts too, many tragic examples of how the institutionalised culture of organisations has let down families and children that trusted them, with devastating and lifelong consequences for the victims of abuse. This week, the ACT took a brave step forward to ensure we protect children from abuse into the future. These reforms are wide-reaching and have implications for all adults in the ACT. So it’s important that as the Attorney-General, I ensure the public has a proper understanding of what these new laws mean. Soon, all adults will have a legal responsibility to report child sexual abuse if they believe it has occurred. Within six months, all adults will have a legal responsibility to report child sexual abuse if they believe it has occurred. If it is proven that an adult fails to report child sexual abuse, they face a maximum prison sentence of up to two years. All adults must report child sexual abuse if it comes to their attention. If abuse is not reported, a perpetrator may continue to abuse that child and other children. Mandated reporting already exists in the ACT for a range of professionals including doctors, nurses and teachers. These new laws strengthen the ACTs legal framework for reporting child abuse by adding ministers of religion as mandated reporters under the Children and Young People Act. These changes mean that ministers of religion will now have to report both the physical and sexual abuse of children to Child and Youth Protective Services. The new ‘failure to report offence’ mentioned above applies to all adults and is specific about the failure to report sexual abuse. Mandated reporters must report abuse in all its forms. If mandated reporters have fulfilled their obligations, they are not legally required to also report to police as that will occur through Child and Youth Protection services. Our collective responsibility is to heed the lessons from the Royal Commission and implement the recommendations the Commissioners made after hearing thousands of hours of victims’ stories. During the Royal Commission’s hearings, there was clear evidence that the seal of the confessional contributed to the ongoing trauma of abused children. That is why I commissioned Her Honour Justice Dodds-Streeton to provide advice on the implementation of laws that ensure that all Canberrans carry the responsibility of preventing child abuse. As a result of her report, and the clear evidence around historical cases of child abuse, the ACT Government does not believe we should create a special exemption from reporting for matters heard within a confession. I understand sensitivities around the expression of faith. But as the ACT Attorney-General let me be unequivocally clear: Australians, regardless of their institution or faith have an obligation to adhere to the laws of our Nation, our States and Territories. We have a shared obligation to keep children safe. There is no reason that any expression of faith should be given an exemption from this responsibility. We must be clear that it is everyone’s responsibility to protect children. Because no matter what our expression of faith may be, nothing can be more important than the safety of our kids. Gordon Ramsay is the Attorney-General and MLA for Ginninderra. So why is it that children’s safety is still allowed to be ignored by CYPS, the police and family court? I question I ask too.